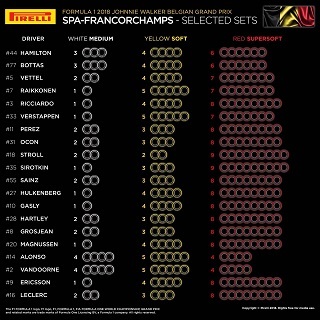 Formula One’s sole tyre manufacturer Pirelli revealed the individual tyre selection for the forthcoming Belgian Grand Prix. Williams drivers turned out to have opted for the most aggressive tyre choices. Pirelli will supply the teams with the trio of the medium, soft and supersoft compounds for the Belgian GP, the first round of the summer break. The 7.004km long track is a huge test for tyres due to its long-radius corners of its middle sector. Lateral loads means that front tyres are usually in centre of focus of Pirelli’s engineers. 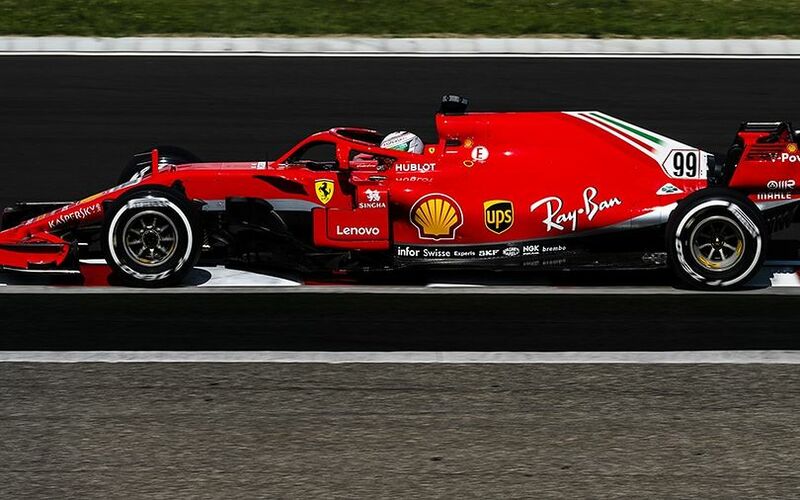 As overheating was –except three track with new surfaces – not an issue, Pirelli left its hard compound out, choosing instead the medium, soft and supersoft. Of the top three teams, Mercedes proved to be the most conservative once again. Both Lewis Hamilton and Valtteri Bottas will have access to three sets of mediums while the two Red Bull drivers and Kimi Räikkönen ordered only one set. It suggests that they do not even want to try that set out during the free practice session, instead they will store that up for the race and only use it if needed. Räikkönen and Verstappen will have five sets of softs while the other four top drivers will manage the weekend with four sets of softs. Williams drivers Lance Stroll and Sergey Sirotkin stand out with their bold choice of nine sets of supersofts. On the other end, McLaren drivers Fernando Alonso and Stoffel Vandoorne will have access to only four sets of the softest compound which may hamper their chances during the qualifying session, but can provide them with constant tyre performance without fluctuating grip level over the practice sessions.